The condo marketplace has populated our downtown core with many tens of thousands of people living in over one hundred thousand new condominium units. The transformation of Toronto is nothing short of miraculous and the envy of every city and every country. What everyone wants is a safe, fun, vibrant, rich downtown. We have it, and it keeps getting better and better; new hotels, new restaurants, new theatres, new public building expansions, and many new office buildings. All cities desire high paying office jobs. Why has this happened to Toronto? Why are we so fortunate? There is only one reason Condominiums. All those new venues need people to fill them. The hotels need the condominiums attached to fund their existence. Without condos we would have none of the 6 new 4 plus star hotels. The office buildings happened because the smart, young people that companies want to attract are living in downtown condominiums where they can live, play, and work in the city’s downtown core. High buildings bring high density living. Of course, adding life to streets is good for a city, making them safe and lively and providing more options for consumers. Additionally, high density living provides efficiencies for transit systems, energy usage, and lessens car use. For the consumer, it does something that every selfish person wants — it lowers the cost of housing and keeps Toronto affordable. At least more affordable than it would otherwise be. Embrace high buildings, embrace density. It is essential. It is our future and it is smart on every level. 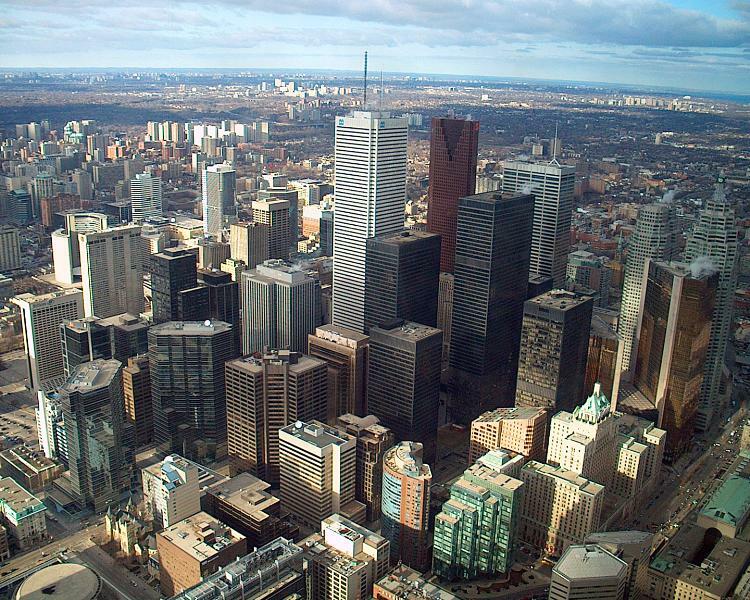 The King West neighbourhood is another great example of the Manhattanization of the downtown core. Freed Developments is directly responsible for this. Just like Manhattan’s meatpacking district, it has all the elements that would attract the kind of people who are at one with everything the city has to offer. It’s an urban playground where people can live, work and play. Freed has created a community of nine design-centric buildings, each with their own unique attitude, within nine city blocks of the district.